There's no debating the value of cloud storage, which is why most cloud storage solutions charge a hefty sum for their services. 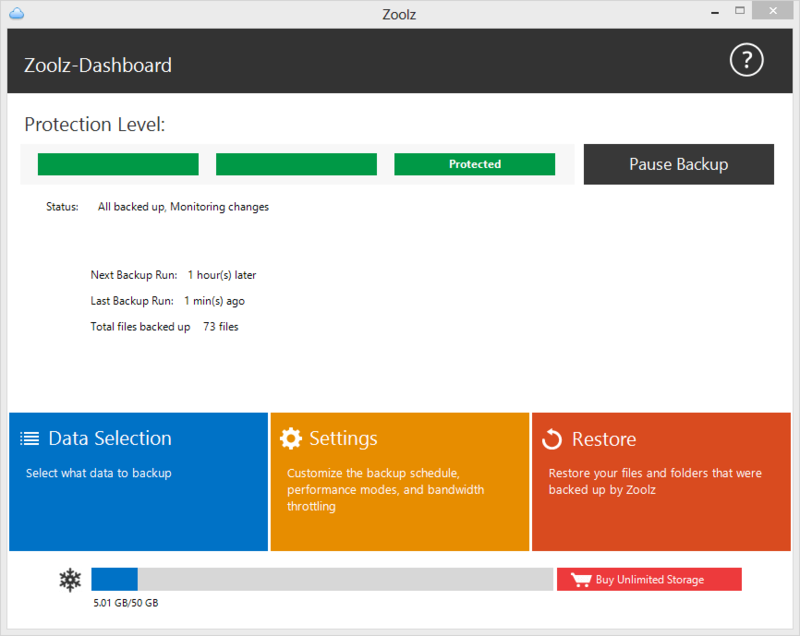 Zoolz helps cut the cost by offering a smarter way to backup your data that's based on your preferences. Now, you can sign up for 2 terabytes of lifetime cloud storage with Zoolz for only $39.99. You get 1TB of "instant" cloud storage and 1TB of "cold" storage (based on Amazon Glacier). Zoolz lets you archive mounds of important files and media for a fraction of the cost. Use the instant storage for files that you need to secure but routinely access. Meanwhile, cold storage is better suited for those documents you don't plan on accessing for a while. But, if you do need to reach them, you can retrieve files tucked away in cold storage in 3-5 hours. Other convenient storage features include bandwidth throttling, icon overlay, file retention and more. This deal is set to expire soon, currently saving over 90% of this lifetime plan. Sign up for Zoolz cloud storage and 1TB Instant Vault and 1TB of Cold Storage for only $39.99.